Greetings friends and fellow crafters, LeeAnn here with the next project using Gina Marie's Stencils. This time I used the Geometric Pattern Stencil. 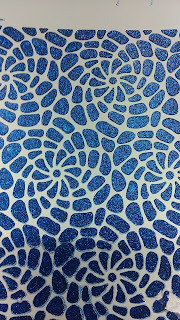 With this project I used Bo Bunny Glitter Paste in Blue. Until this project I had never used Glitter Paste before, but I did go back out and get another bottle that will be used in the next stencil post. This Paste gives a great texture just like embossing paste and texture paste, with the added shimmer shine of the glitter. And who doesn't love glitter? 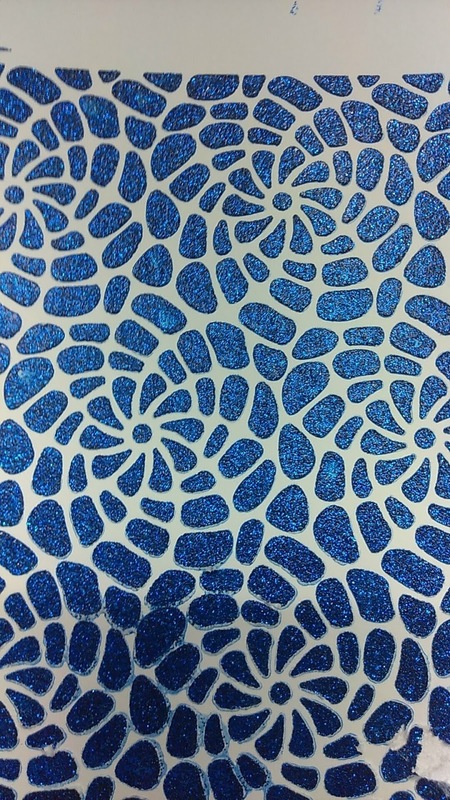 Using the same steps as the prior post, I first taped down the stencil, and using my palette knife I stirred up the glitter paste then smoothed it on over the stencil. Once it was completely smooth I scrapped excess off and back into the jar and capped it. I then carefully lifted the stencil so as not to smear and immediately washed both the knife and stencil in warm water. Once this was complete, I set the panel aside to dry. 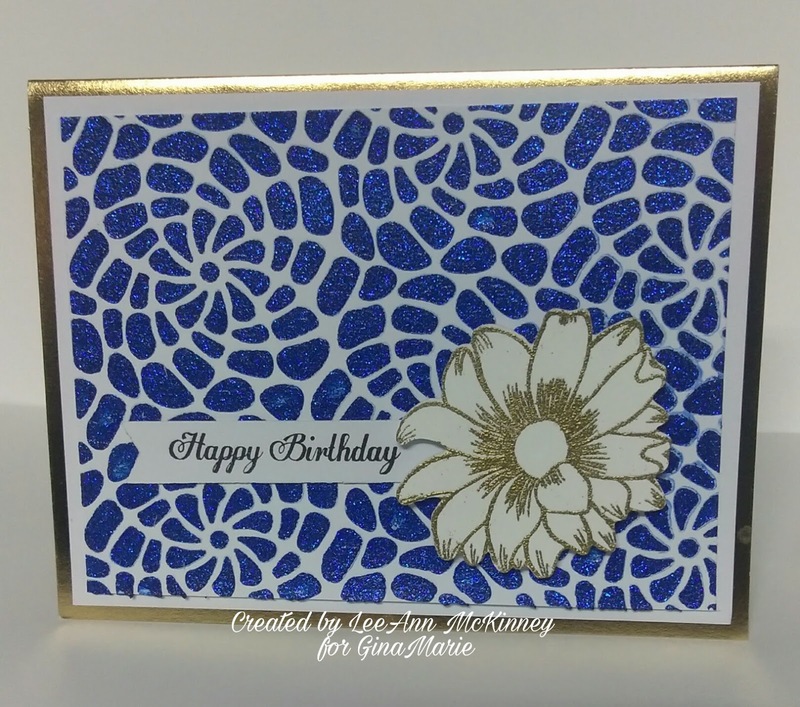 I stamped the Daisy from Joy Clair Springtime Flowers with Versamark and used Gold Embossing Powder and heat set it. 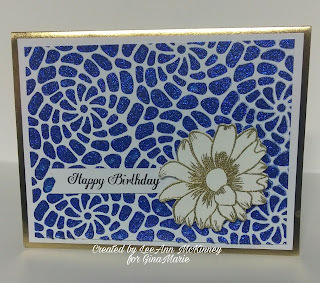 I used a banner die to cut the white sentiment panel and used Memento Black Dye Ink to stamp the Happy Birthday Sentiment from Joy Clairs Everyday Sentiments. The Card Base is from Recollections then there is a white 110 lb Recollection panel cut to 4" x 5.25", the stencil panel I cut to 3.75" x 5". I used double side adhesive to adhere the panels and the sentiment. The Daisy is adhered using foam dots.